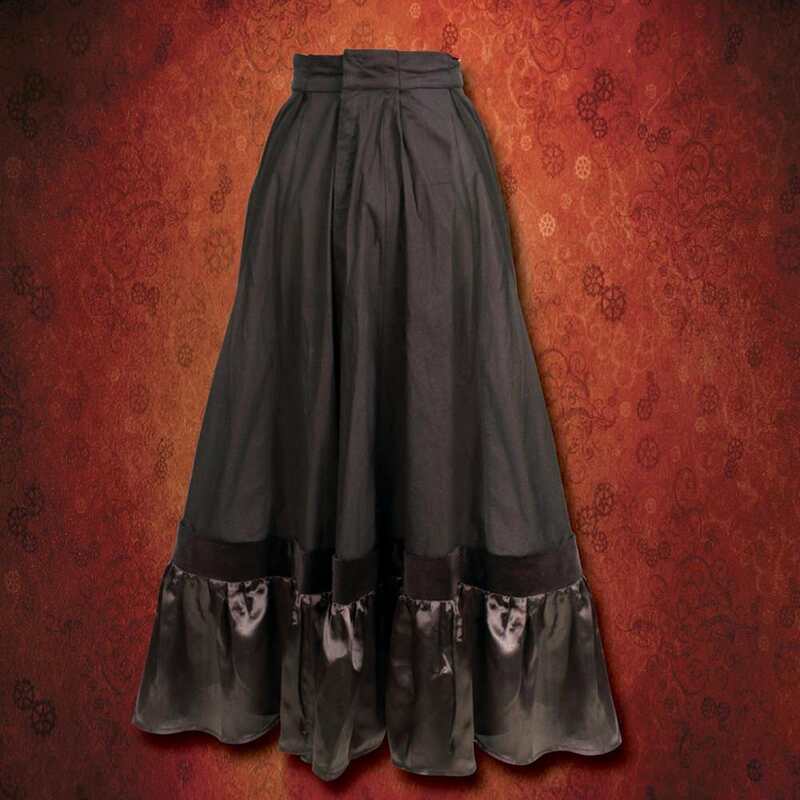 This versatile black cotton Picadilly skirt can be worn down or pulled up with the double ruche, giving it a variety of different looks. 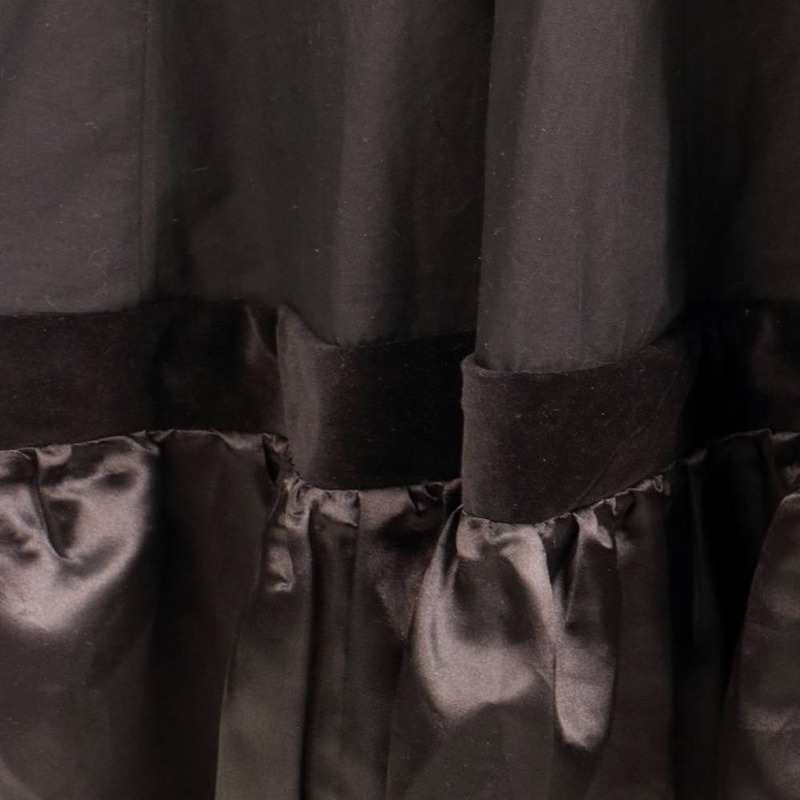 A wide black cotton velvet band adorns the bottom, followed with a rich black satin hem. The waistline has heavy duty hook & eye and snap closures. Available in small, medium, large and x-large. 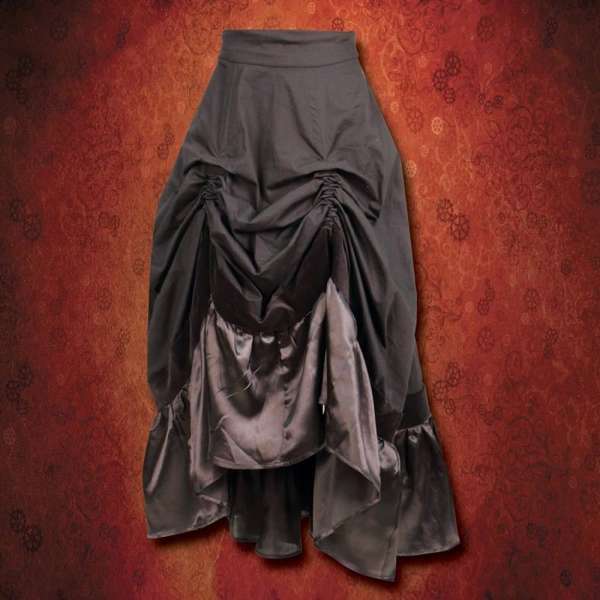 Looks great with layered overskirt and corset. 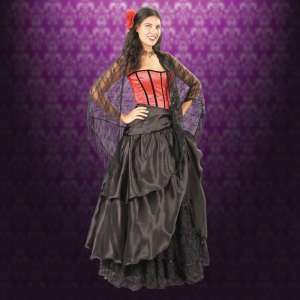 Finish with lace shawl and hair rosette.